Contemporary styling takes center stage on this elegant 33mm dress belt. That is where you find the eye-catching line of perfing, a beautiful rich burnish, and intricate stitching between the pin holes. 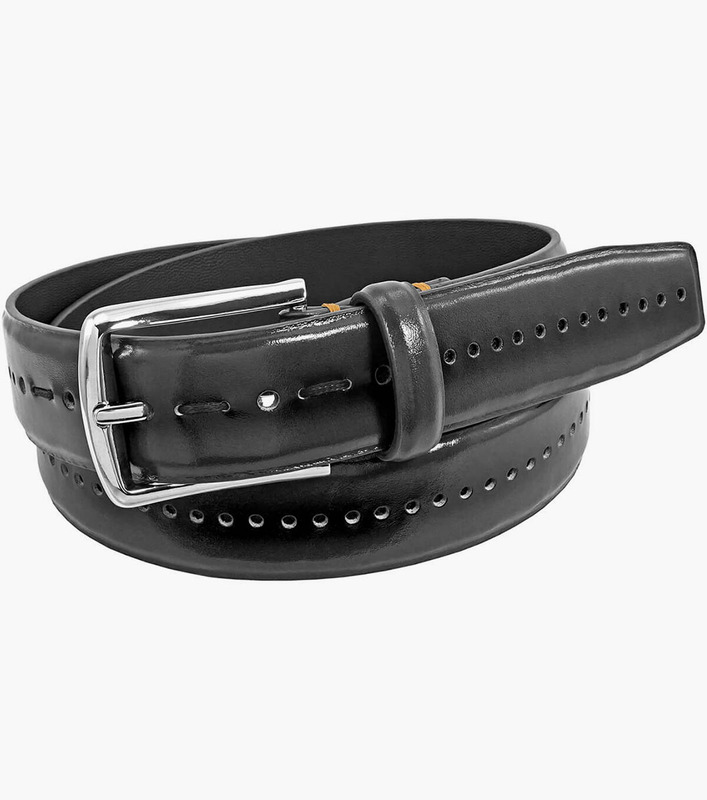 This belt is rich in modern style.